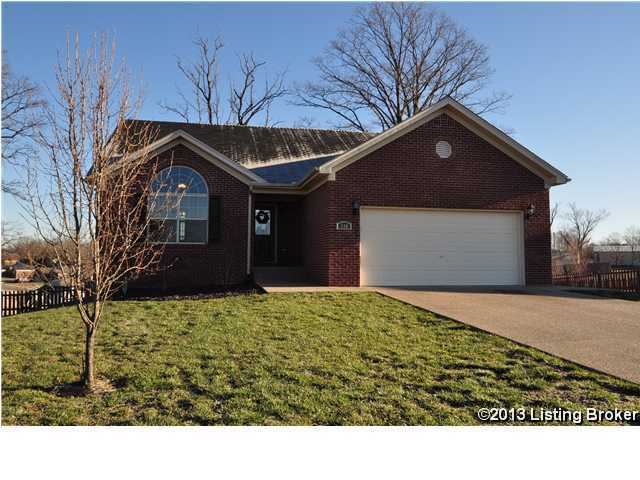 Beautiful all brick home in the Reserves in Mt. Washington. Home features 3 bedrooms with split design on first floor and possible 4th bedroom in lower level. Large open great room with hardwood floors. Eat-in kitchen with appliances and new back splash. Walk-out basement offers family room, children's play room, bedroom, full bath, and extra storage space. French doors lead to patio, fenced back yard with lovely view of pond. Attached 2 car garage. A must see. Reserves Of Bethel Branch is a subdivision within the city of Mt Washington, Kentucky. There are currently 0 Homes for Sale within Reserves Of Bethel Branch, with asking prices ranging from $0 to $0. The average list price per square foot of the available inventory in Reserves Of Bethel Branch is $0, which is the Mt Washington average of $222. The Average Sales price of all sold real estate in this subdivision for the past year is $223,000. Recent comparable homes have been selling for 99.48% of their asking price. Waterfront homes represent of the available Reserves Of Bethel Branch inventory. The total number of households in the zip code of Reserves Of Bethel Branch is 7,255, with an average household size for of 2.66 people. The total number of renter households within the zip code of 40047 is 1,268, which means that 82.52% of households in this zipcode are owner occupant households. 124 Halcomb Ct, Mt Washington KY 40047 is a Home, with 4 bedrooms which is recently sold, it has 2,250 sqft, 62X166 sized lot, and 2 Car Garage,Attached,Driveway,Entry Front parking. A comparable Other, has bedrooms and 0 baths, it was built in and is located at and for sale by its owner at $ 0. This home is located in the city of , in zip code , this County Other, it is in the Subdivision, and STONE MEADOWS are nearby neighborhoods.